There are few things in this world I enjoy more than trying new restaurants. While having to eat gluten-free makes this somewhat like taking my stomach through a field of land mines, I have very few incidents, surprisingly. 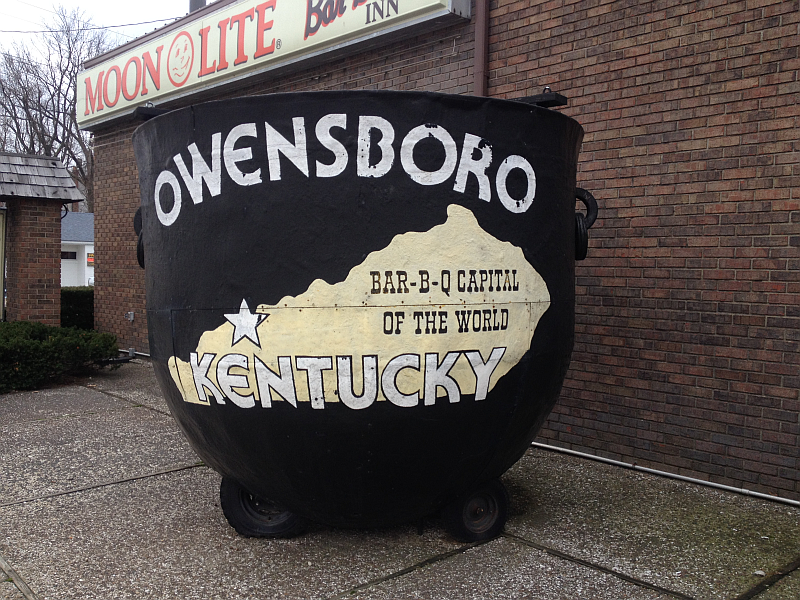 I can’t tell you how excited I get when we pull into a Kentucky restaurant that we’ve never tried before…. and the excitement, somehow, reaches new heights when it’s an “off the beaten path” restaurant. The local vibe of such restaurants fascinate me and they always have. I got this from my dad, actually. 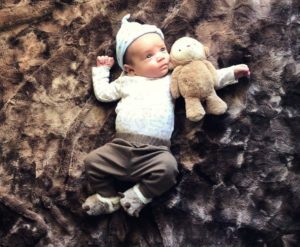 Whenever we’d travel, he’d find the most obscure places to eat! My vacation memories almost never involve a chain restaurants… in fact, did we ever go to chain restaurants?!? 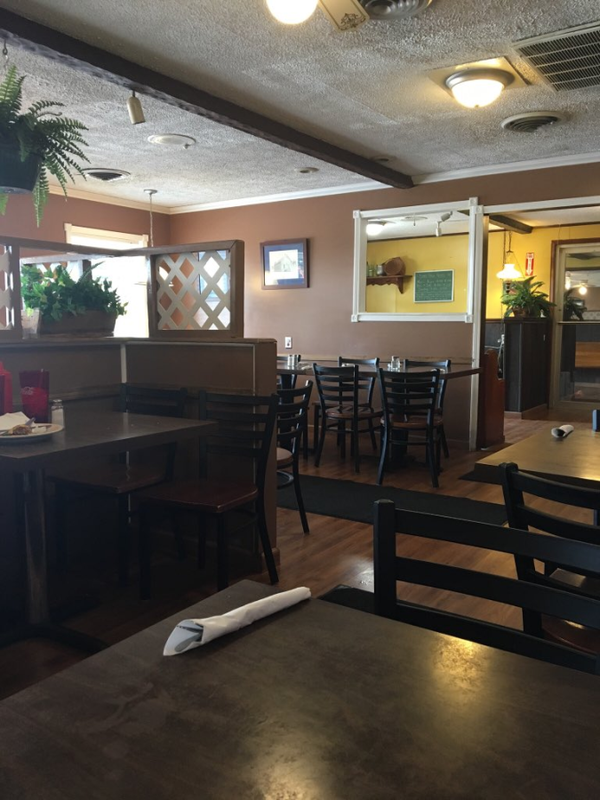 On the way home from Kentucky Lake a few weeks ago, we planned to stop by Feed Mill Restaurant in Morganfield, KY (wonderful restaurant in its own right!). 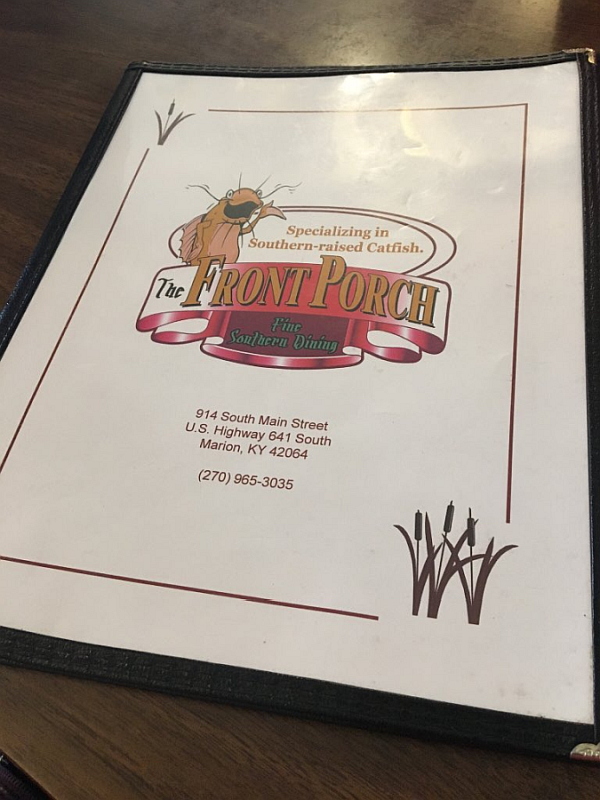 We happened to drive past The Front Porch along the way and looked at each other like, “Hmmm…” Sure enough, my husband asked if I’d like to grab my iPhone and check their menu. It’s a routine we’re forced to go through to see if there’s anything I believe would be safe for me to eat, given the fact that my body believes gluten and wheat are poisonous. I saw that they had grilled catfish, beans, potatoes, salad… you know, non-poisons, and told him I’d love to check The Front Porch out. Although we’d never stopped before, I’d always admired the charming restaurant and its adorable sign from afar. It’s one of those restaurants we always meant to “check out” (as in find the menu online and give it a once over) – I’m extra happy, now, that we finally just went to check it out in person. So much funner… and tastier… that way! Before I had to give up wheat and gluten, my favorite food in the world was fried catfish. Still is, actually, it’s just harder to find gluten-free catfish in restaurants than it is to find a white Tic Tac in a snow storm. 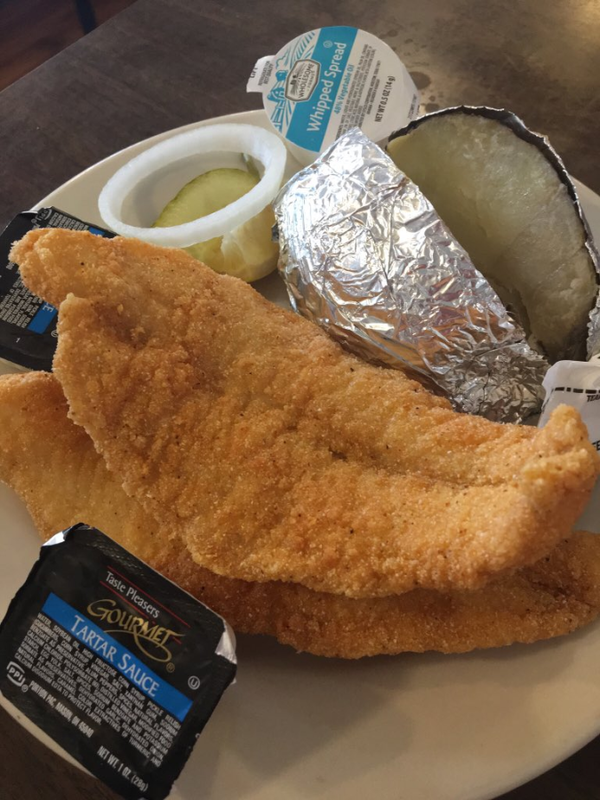 Sure, I can make it at home, but unless we’re seated in Catfish Kitchen, ordering fried catfish in a restaurant is O-U-T. So, I’ve fallen in love with grilled catfish – if it’s done right. Wrong is dried out and tough. Right is moist, tender, and flavorful. 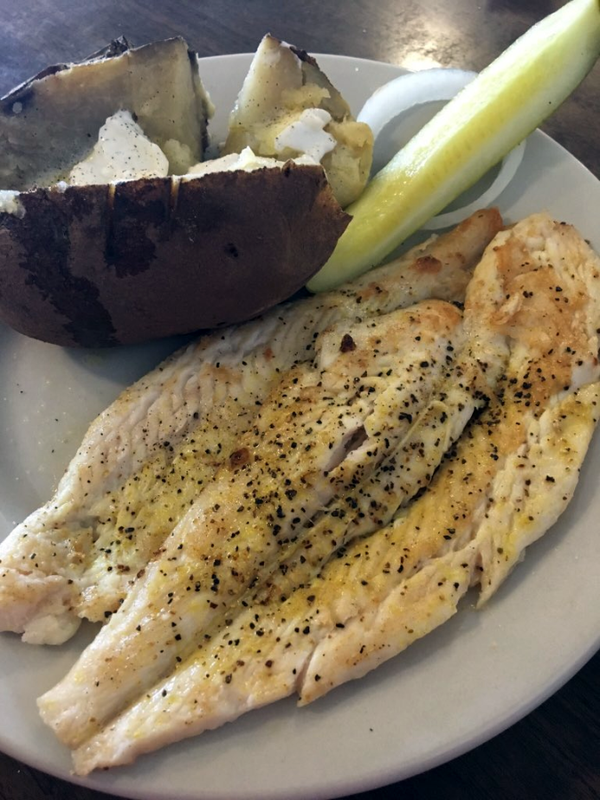 The Front Porch’s grilled catfish redefines right, if we’re being completely honest. It is phenomenal. It’s ties for the best grilled catfish I’ve ever gotten at a restaurant (tying with Cracker Barrel’s, which I’m obsessed with). 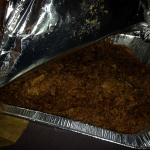 It was simply seasoned (the route to go, more times than not, when dealing with catfish or shrimp, for that matter), tender, moist, and absolutely delicious. 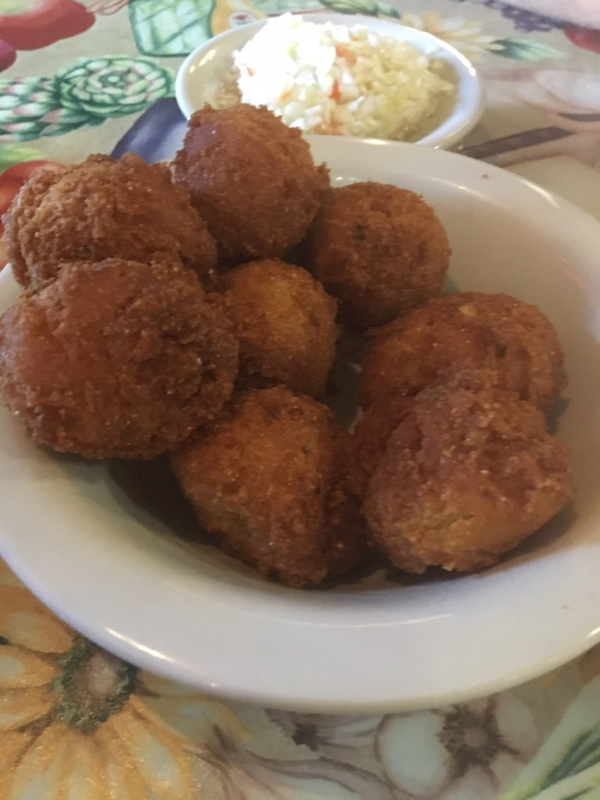 Okay, as you can see from the picture above, my husband IS able to order, eat, and enjoy every single bite of fried catfish. Enjoy? Well, that’s not quite the word with this particular fried catfish. With each bite, he exclaimed that it was the best fried catfish he’s ever gotten out. Given that he has eaten fried catfish at every restaurant around the lakes and beyond, that’s saying something. I mean… take my word for this one, we know our catfish. At one point, he even asked to speak to the cook – to tell him how wonderful it was and to double-check and make sure that there was flour involved. I think he hoped against hope that the breading was only cornmeal so I could have had some. Funny thing is, my grilled catfish and I were having a moment all our own! Okay, so you probably can understand (and possibly even relate to) my obsession with catfish, but I may lose a few of you here. I normally do! I am also incredibly obsessed with salads. 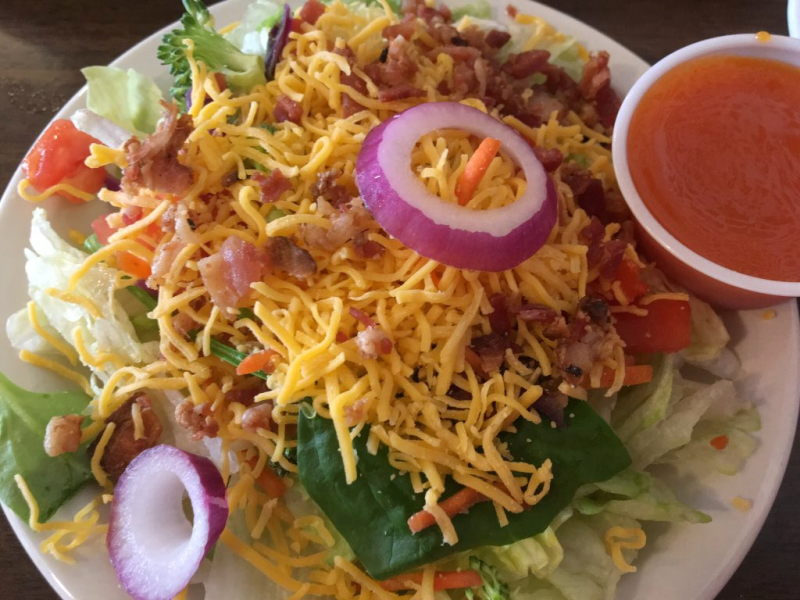 Yes… salads. A great tossed salad makes me perfectly giddy. You should see the masterpieces I create at home. I throw a little bit of everything in my cart in the produce aisle and come home and make like Rembrandt. But getting a great tossed salad at a non-chain restaurant is generally uninspiring. You know the drill – it’s normally straight out of a bag – iceberg lettuce, rubbery radish slices, and tiny little orange strips that claim to be carrots. The tossed salad at The Front Porch came to the table looking like something I would have assembled at a salad bar! See the proof in the picture above. Colorful, beautiful, fresh, and delicious. 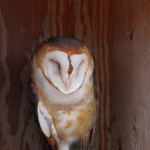 The Front Porch just kept making me happier and happier. 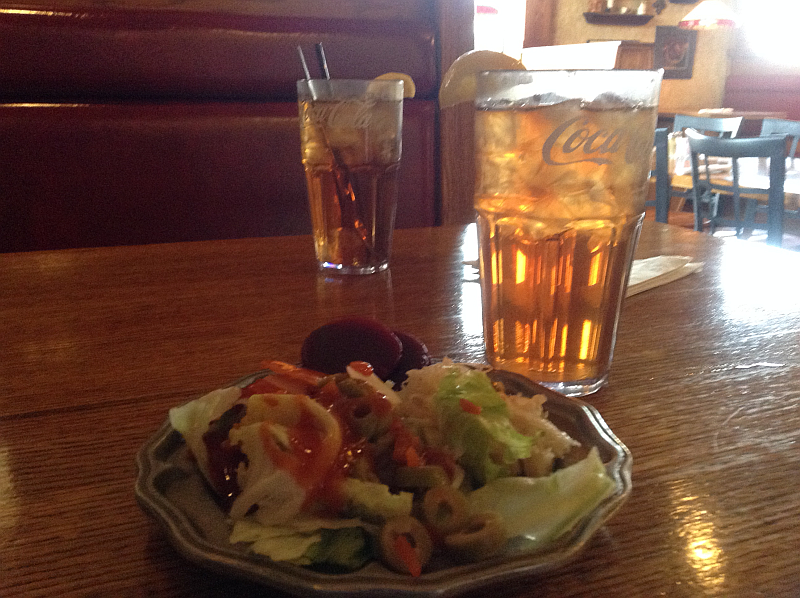 Even the sweet tea was outstanding. Last, but certainly not least, the sides. 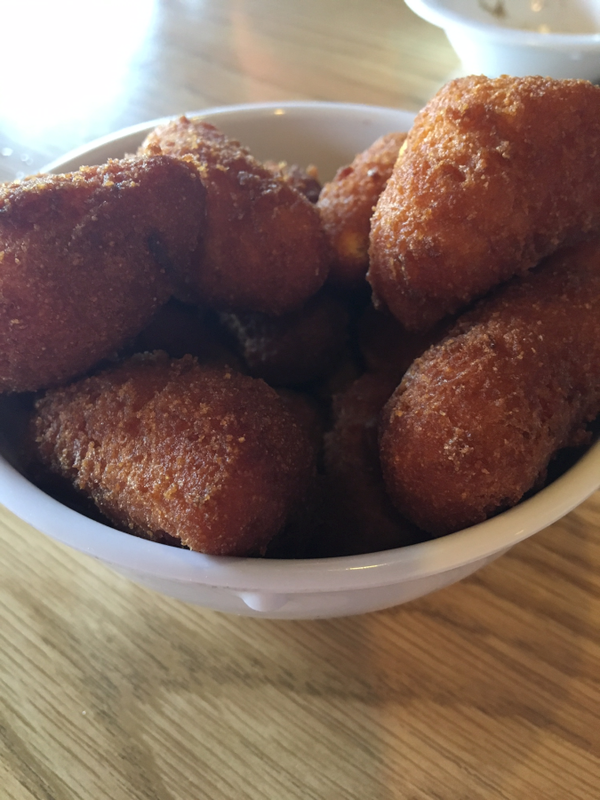 If you read many of my restaurant reviews, you know I love good sides. 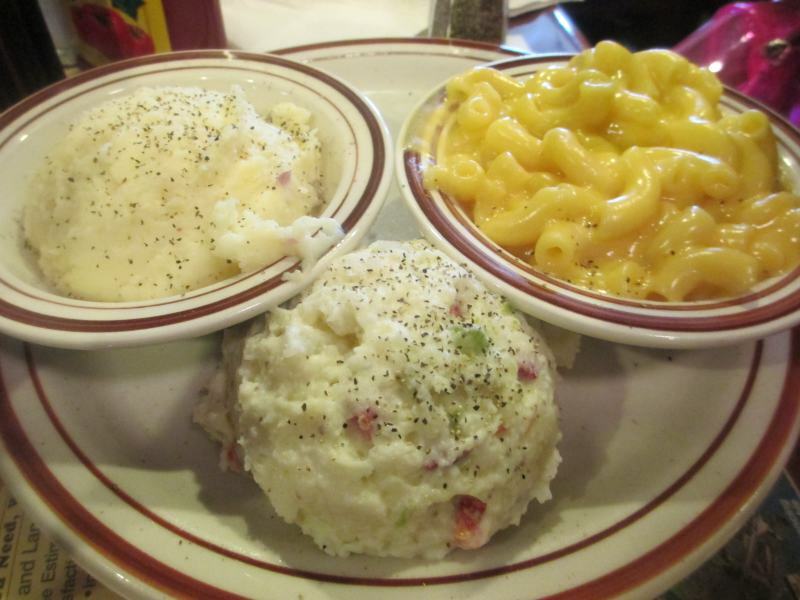 Actually, it’s more than that – I love good sides with personality. Don’t just trot out the predictables, give something that sets you apart. 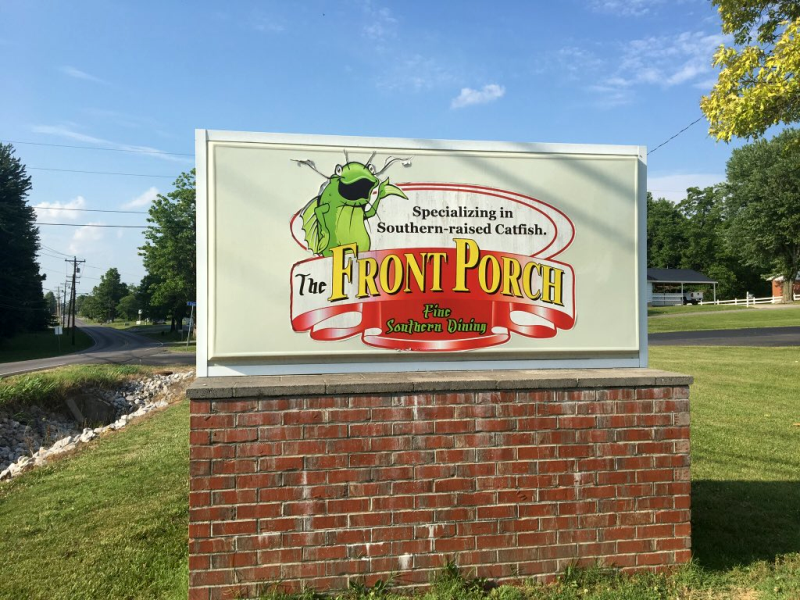 The Front Porch has the traditional catfish sides like baked potatoes, coleslaw, and beans and they’re all good. 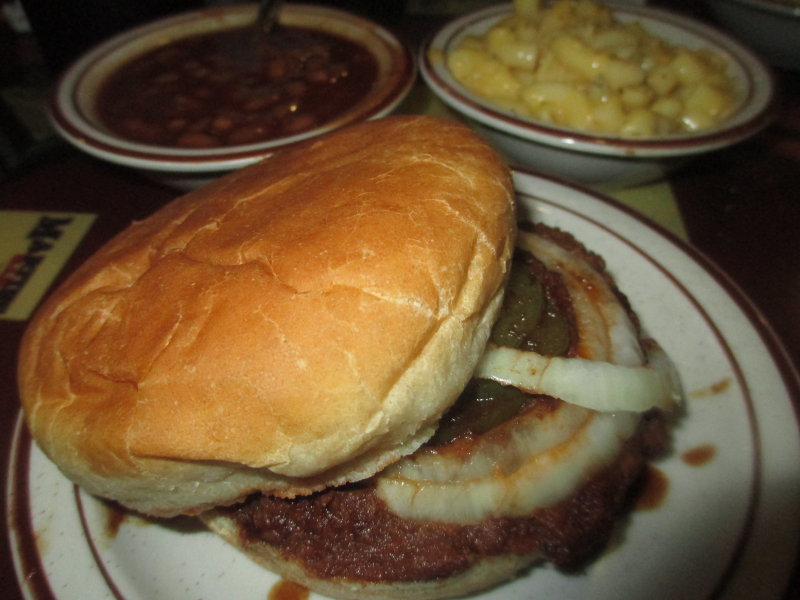 Like The Pond, in Aurora, they have a delicious red pepper relish for the beans that floats my boat. It’s a lovely extra that I’m in love with. It’s served on the side, so you can add it or not… though I have no idea why anyone would choose not. 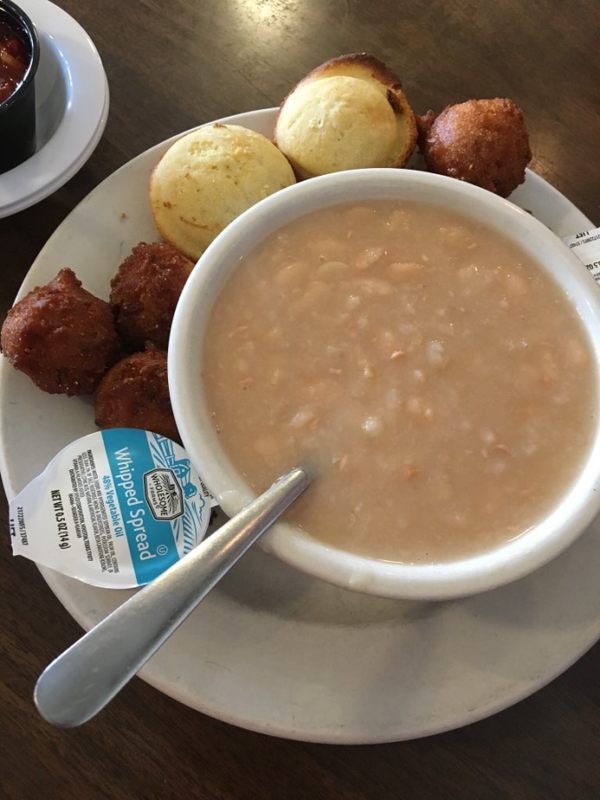 Unlike most restaurants, they also serve both corn muffins and hush puppies with their meals. My husband loves both, so he couldn’t have been happier. 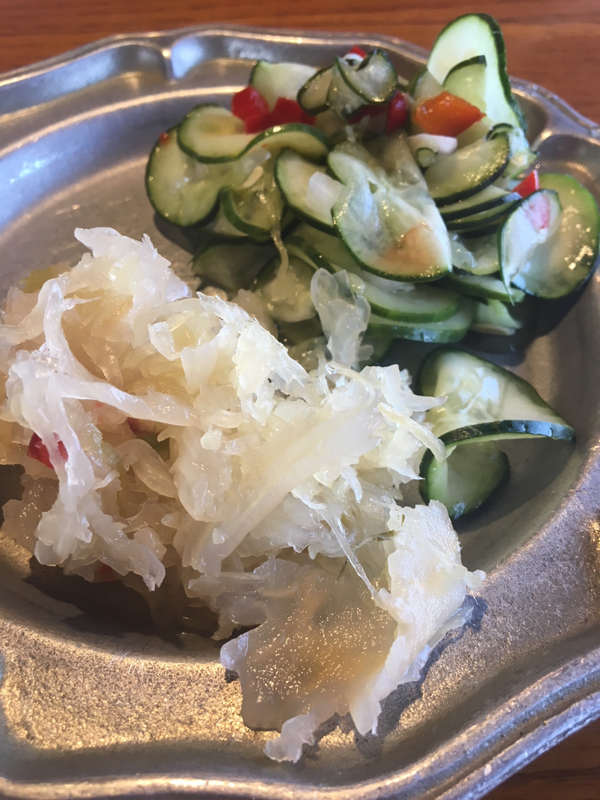 Something else that made them stand out was really simple, yet deliciously cool – a pickle spear and bit of onion accompanies each catfish meal. Maybe I’m a simple kind of gal, but this really made the experience even cooler for me. I am ALL about restaurants flaunting their individuality – giving their guests more than they’d expected or hoped for. Sadly, it’s pretty tough to find these qualities in restaurants (or anywhere) these days. 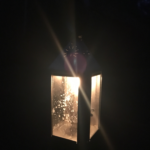 The Front Porch proves that these old fashioned traits still, in fact, do exist. 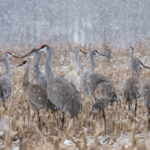 Sometimes you just have to get off the beaten path to find them. 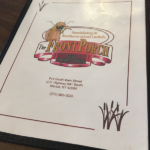 The Front Porch is a very friendly and charming little restaurant with food that’ll blow your mind. 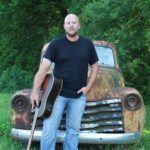 It’s located at 914 S Main St in Marion, KY. 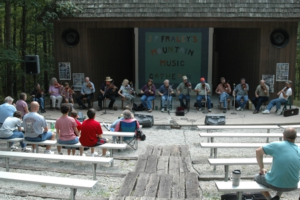 It is definitely worth the trip! 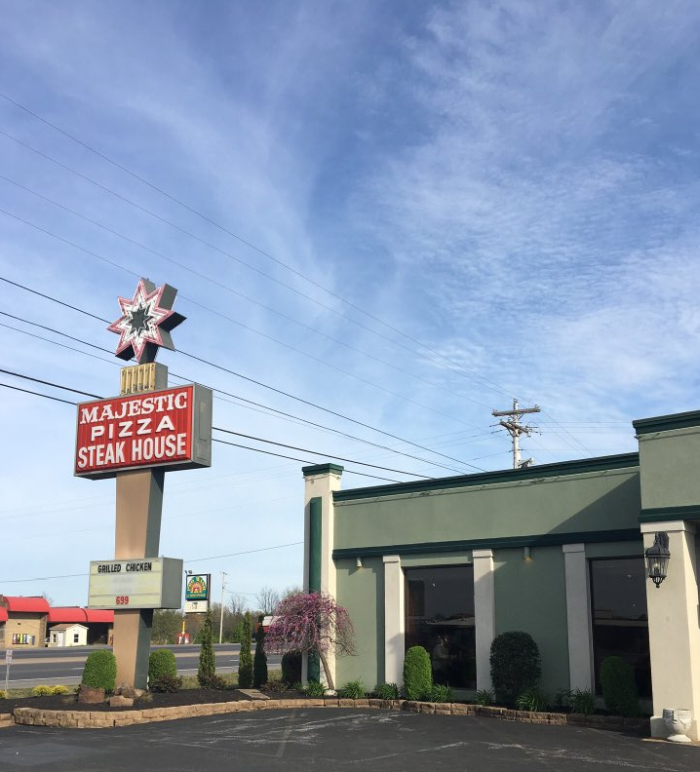 When you’re in the Kentucky Lake area, you should check out The Majestic in Benton. 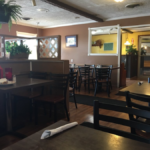 Whether you’re looking for a delicious lunch or dinner, this restaurant is one of our favorites. Read on and I’ll tell you why! You know how some restaurants are simply more enjoyable to dine in than others? 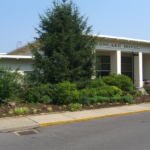 They’re spacious, comfortable, and have an ambiance that’s in all ways enjoyable. 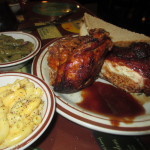 The servers are friendly, the food delicious, and the experience… well, as perfect as it gets. That’s Majestic Pizza & Steak House in Benton (the “mailing address” is Benton, but the physical location is Draffenville) in a nutshell! Ironically, one of the things I love best about Majestic is a ridiculous simple one: Most of the times we’ve eaten there (which is numerous, numerous times) they allow you to sit wherever you want to sit. The times they do seat you, they’re better than most places in that there isn’t a host/hostess who seems bent on sitting all of the guests pretty much on top of one another (PET PEEVE!). Some of my favorite restaurants tend to do this and, holy catfish, do I wish they’d see the error of their ways. People want to enjoy their meal without being able to hear every single thing the diners beside them are saying. Majestic seems to “get this” when so few do. If we’re being honest, I love pretty much everything about this restaurant. It’s beautiful, the workers are friendly, and the food is consistently delicious. Majestic (like most all non-national-chain restaurants) does not provide a gluten-free menu, but I have gotten pretty good at knowing what I can and cannot eat. 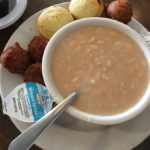 If you (like me) have to eat gluten-free for health reasons, please know that they do not claim any of their food as being “gluten-free.” If you’re in the boat I am, you’ve come to expect this with the majority of restaurants – we simply make the smartest choices we can make and pray over the food we’re served! 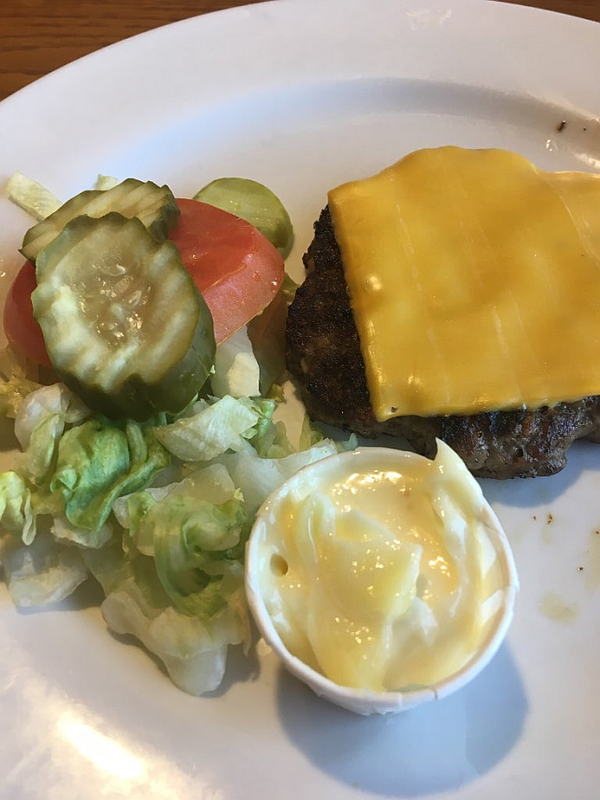 You can actually order a burger (either on or off bread) with the salad bar – it’s more expensive, of course, but it makes a delicious dinner. 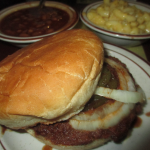 Their burgers are wonderful – you can honestly taste the quality. 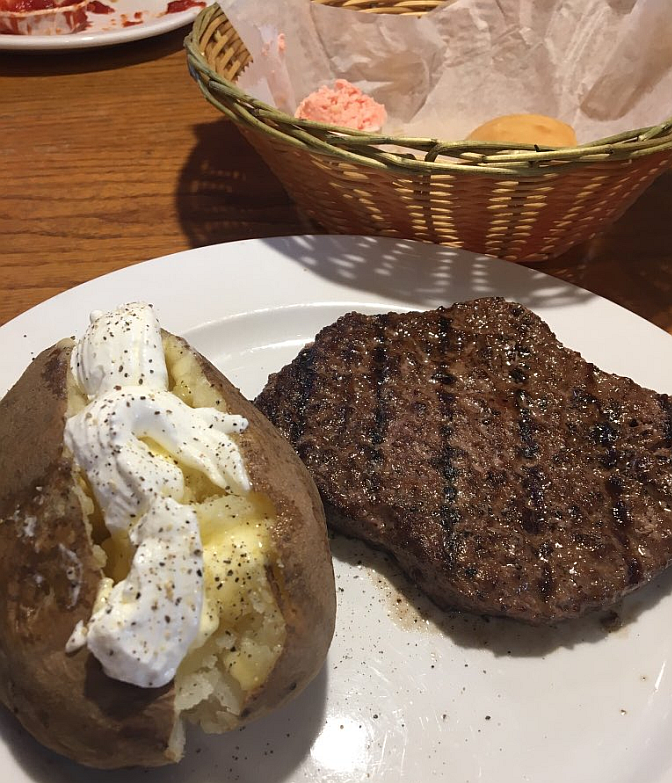 Their steaks and baked potatoes (white or sweet) are also fantastic. 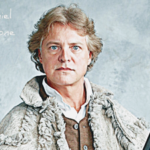 I mean… extra extra extra fantastic! Speaking of multiple “fantastic”s – their bread (which comes with outrageously delicious strawberry butter) is as good as you’ll ever see, smell, or taste in any restaurant in the world. If gluten isn’t a concern, you’ll also love their lunch or dinner buffet (different from the salad bar, of course). Something I’ve noticed (even though I never eat off of the food buffet), the price is lower than many other buffets you’ll find. And the food always looks incredible! While I always get the salad bar at lunch, I’ve gotten steaks and hamburgers or cheeseburgers (off bun) other times and they’re always amazing. I can’t say this enough times, however, just because I haven’t had an issue doesn’t mean Jack for anyone else. If you have to eat gluten-free (as with every restaurant), proceed with the knowledge that nothing on their menu is marked or even considered gluten-free. The fact that I’ve never had an issue in a restaurant that serves pizza, for crying out loud, is pretty awesome. If you’re one of the LUCKY ones who doesn’t have to eat gluten-free…. knock yourself out! This wonderful restaurant has a huge selection of food and it’s all delicious. Before I had to give up gluten, I was absolutely in love with their pizza. If memory serves (and it almost always does when it comes to UK Basketball, baseball, and food), their pizza is phenomenal. 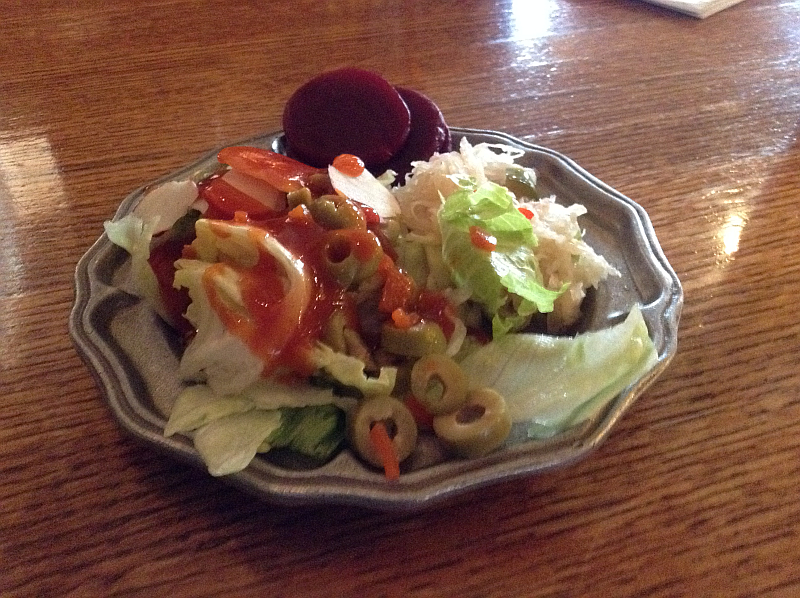 As a salad fanatic, my favorite thing about Majestic Pizza & Steak House is their extraordinary salad bar. 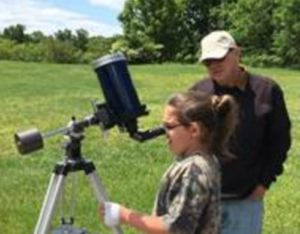 It’s possibly the best one in Western Kentucky – possibly even beyond. 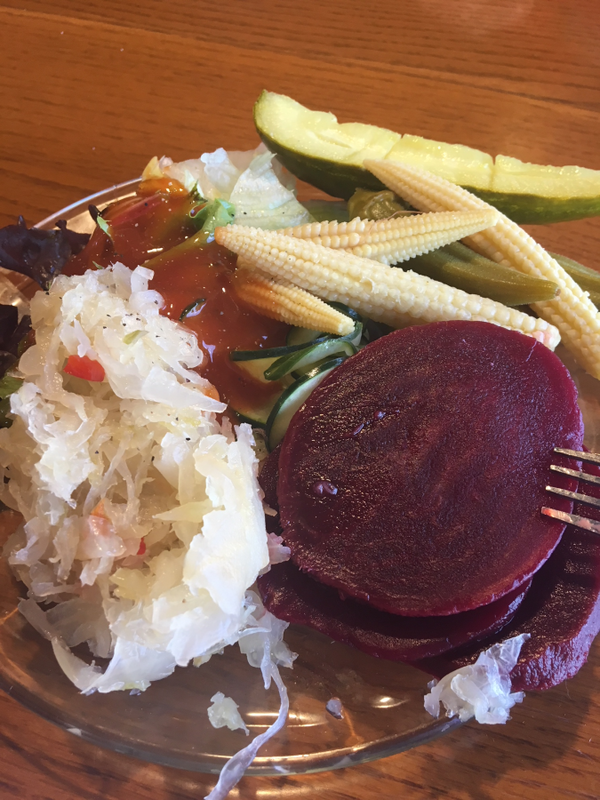 An assortment of cold “salads” that taste like a plus-size Amish lady spent all day making – these are the things dreams are made of. There’s a kraut one and a cucumber one that I could sit down and eat buckets of. BUCKETS. You can see them in the pictures here but words and photos both fail to describe how wonderful they are. Even their iced tea is fantastic! 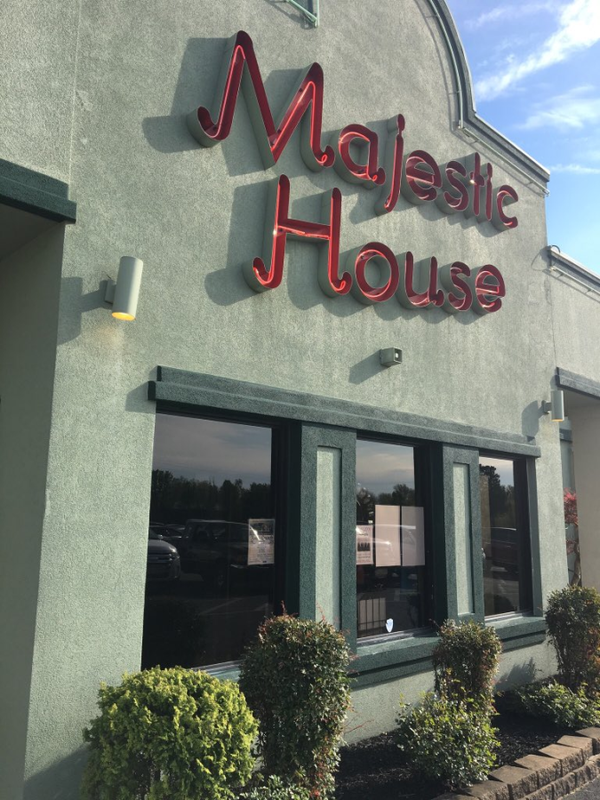 The next time you’re in the Kentucky Lake area or Land Between the Lakes, you’ll want to schedule and plan lunch or dinner (or both if you really want to show out) at Majestic Pizza & Steak House. 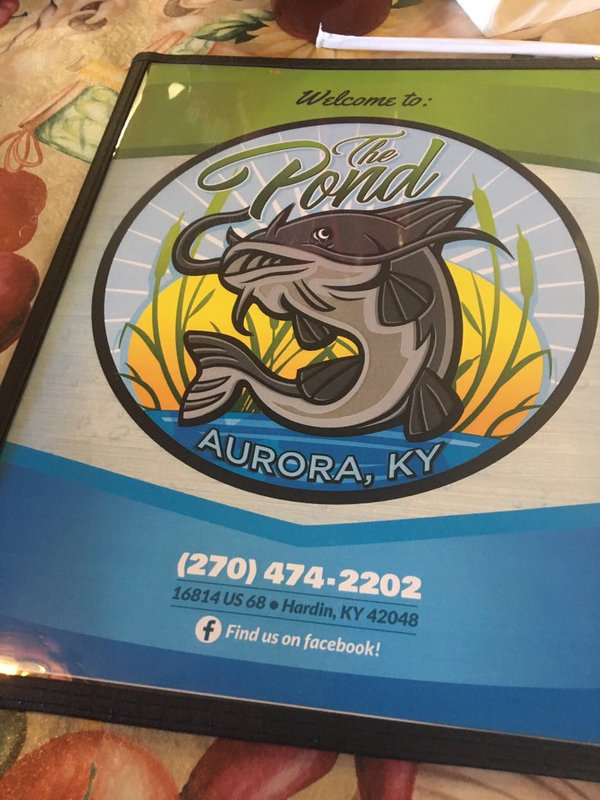 I’ve written about The Pond in Aurora many, many times on Genuine Kentucky and know beyond the shadow of a taste bud that I’ll write about this restaurant many more times in the future. What can I say, I have a thing for wonderful food, charming ambiance, and uncommonly friendly people. The problem with writing restaurant reviews for favorite restaurants is the feeling that you can’t possibly cover all of the things you want to cover. Seriously, everything is so delicious and the service is so above par that I have to pause every now and then to make sure I’ve covered everything. However, due to time constraints (translation: my cats are getting hungry and restless), I’m going to simply stick with a few new (and maybe not so new) menu items we’ve tried. The Grilled Shrimp. 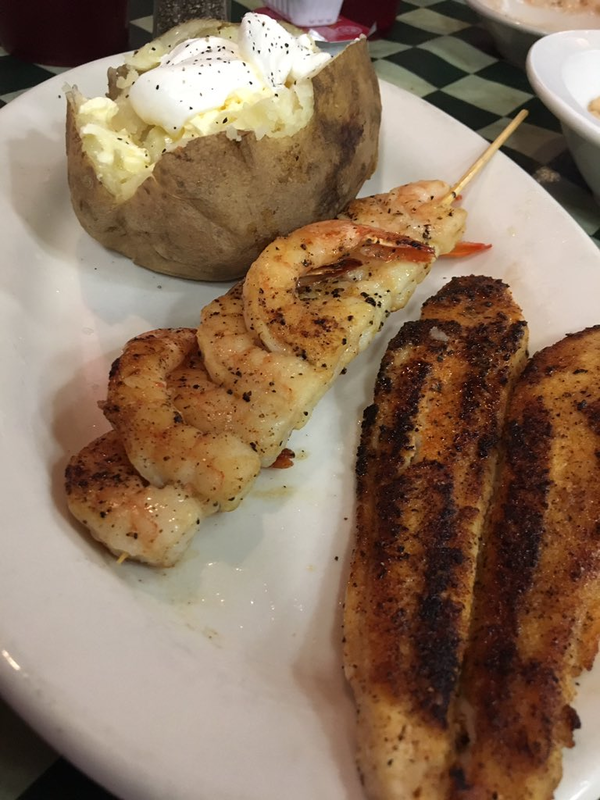 I’ve ordered the grilled shrimp many times over the years and it has always been great. See, here’s the thing – I am an avid cook and food blogger. I cook every single day of the week – usually more than once – so, when I go out to eat, I like to eat things I don’t normally fix at home. Shrimp is not on the home menu very often simply because of the price (Have you bought a bag recently? Holy cats, Kroger thinks I have a money tree I guess! ), so when I can find it in a restaurant, I order it right away. Problem is, a lot of restaurants don’t have grilled shrimp available. The Pond is one of the few who do. Like I said, the shrimp has always been fantastic but, somehow, it’s even better than ever. It has a more “grilled” flavor and it is the best shrimp in the world. Blacked Catfish. 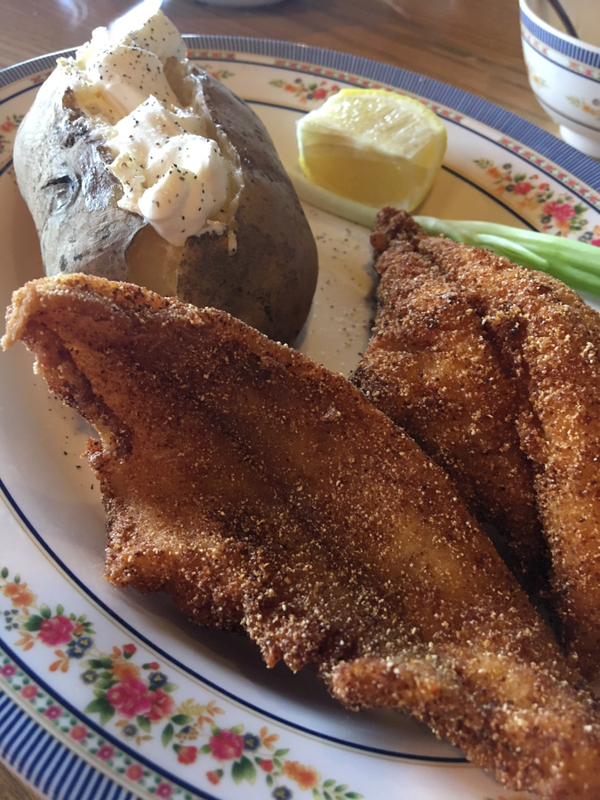 When I had to give up wheat and gluten, I had to part ways with one of my favorite things in the world (at most restaurants, anyway): Fried Catfish. I just started getting Grilled Catfish instead, which was also delicious. I’ve fallen hard for the blackened catfish at The Pond however – it’s a total knock-out. Salmon. My husband, who loves salmon like I love catfish, was delighted to see it on The Pond’s menu and has ordered it each time we’ve been for the past few months. I tried it and can certainly see why he has remained so loyal to it. It’s wonderful. 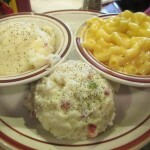 Naturally, the baked potatoes, beans, and coleslaw are as delicious as always. When you’re at Kentucky Lake or the Land Between the Lakes, you have to go to quiet little Aurora and have dinner at The Pond. New logo, new name but same outstanding food and service. Tell them Joi (“Joy”) at Genuine Kentucky sends her love and will see them and their catfish and shrimp very soon. P.S. A word about the grilled shrimp – the shrimp comes with a little package of cocktail sauce. DO NOT mess the shrimp up with this cocktail sauce. No, no, no… don’t even think about it. Not only does the shrimp not need it, the sauce is simply not on par with the deliciousness of the shrimp. It’s a packaged sauce, kind of like the kind you find in stores, and it simply doesn’t deserve to be seen in the company of this wonderful grilled shrimp! My husband (Michael) and I take a lot of “daycations” – during each of the four seasons, not just summer. We don’t play favorites, after all. A daycation, simply put, is a vacation packed into a single day. Some people take week-long vacations but we kind of beat the system. By taking one 3-4 times a month, we have a lot more actual vacation time than most people. Our daycations are usually on Saturdays, but occasionally we’ll take one on a Sunday (not during NFL season, though – I mean, that’s just not done from what I hear). 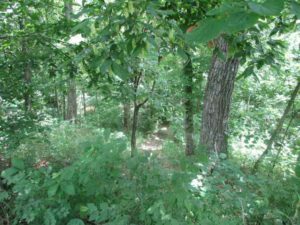 We’ll wake up, have our Bulletproof Coffee, feed our cats (while promising to bring them something back), map out the route (him), and grab a large tumbler of sweet tea (me) – then off we go. 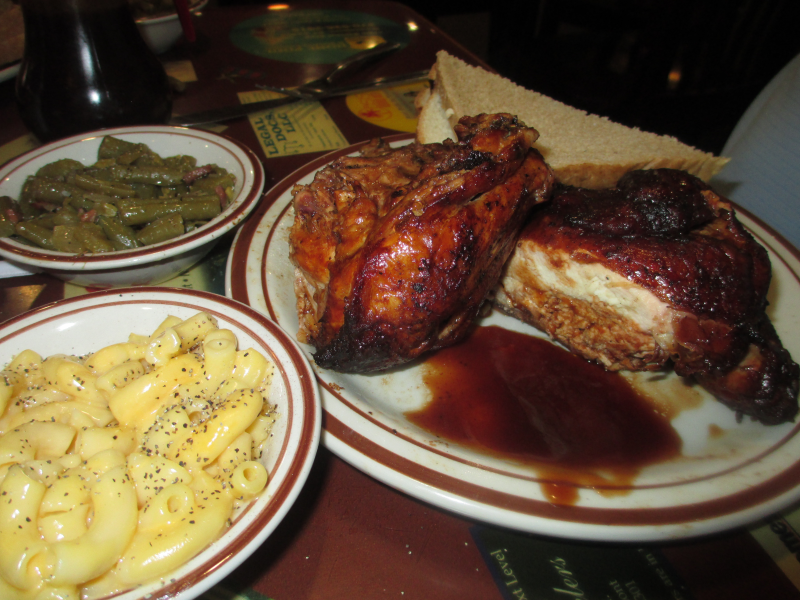 As I’ve mentioned before on the Kentucky blog, I have to eat gluten-free for health reasons. So, unfortunately, our daycations and destinations have to take that bit of information into consideration. If I were to end up in an area or at a destination where I couldn’t safely eat lunch or supper, it would not make for a lovely daycation or a happy me. Quite frankly, years ago, we used to visit a lot more places (remote State Resort Parks, for example) that are pretty much off the list these days. There just aren’t a lot of restaurants that will or are able to take the extra measures to provide “gluten-free” food. 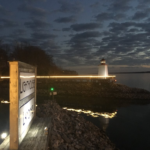 Thankfully, one of our favorite daycation destinations (Kentucky Lake and the Land Between the Lakes) has a couple of delicious options. Catfish Kitchen actually has gluten-free fried catfish (it isn’t listed on the menu, but you can certainly order it – goodness knows I do often enough!). 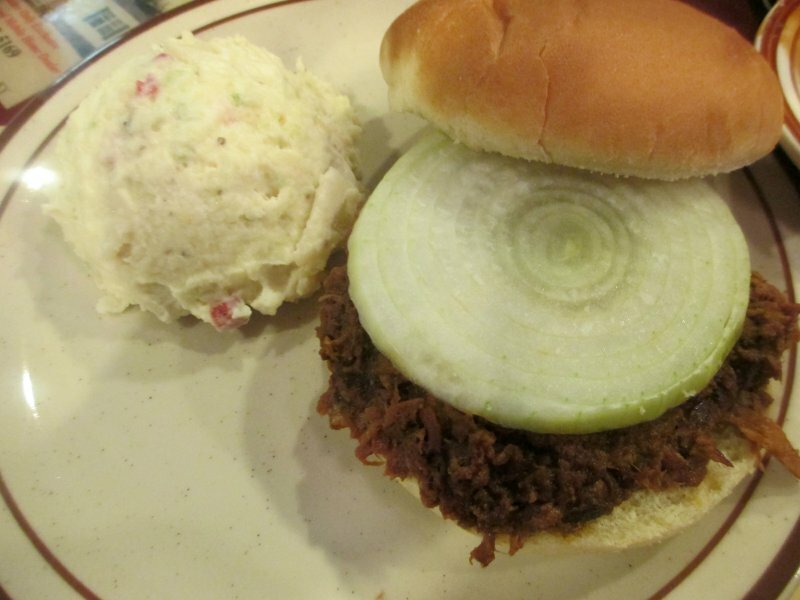 Paired with beans, coleslaw, green tomato relish, and a baked potato – it’s one of my favorite meals. 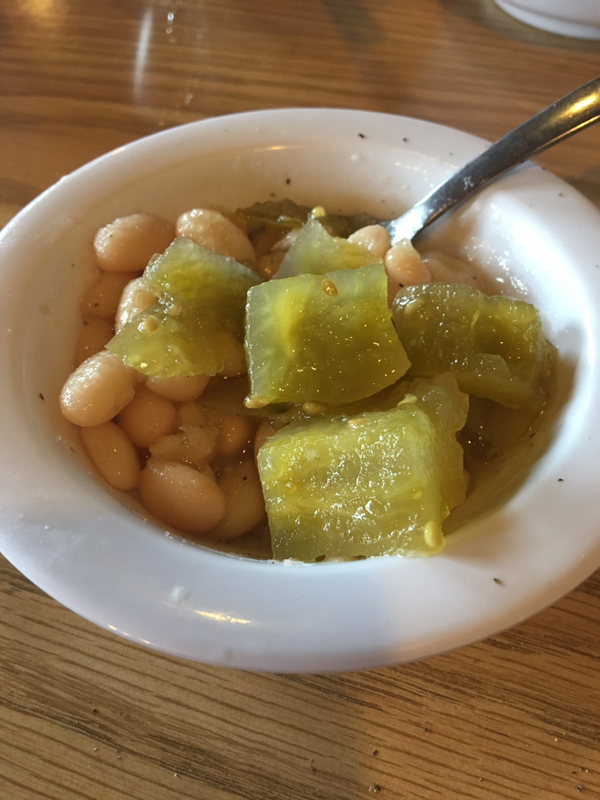 There are bottles of relish on the tables for the beans, but I prefer the Green Tomato Relish (it is ridiculously delicious). 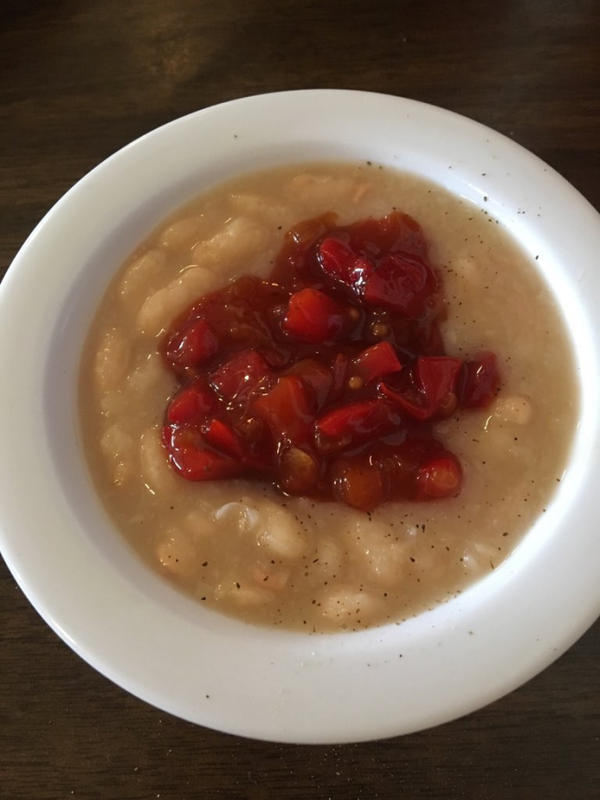 It’s less than $1 and is the perfect accompaniment to the beans. Take it from me, just because you have to eat a certain way doesn’t mean you don’t thoroughly enjoy dining out as much as the next person! 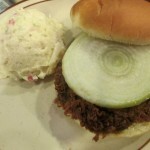 The pictures in this post are from our last visit to Catfish Kitchen. 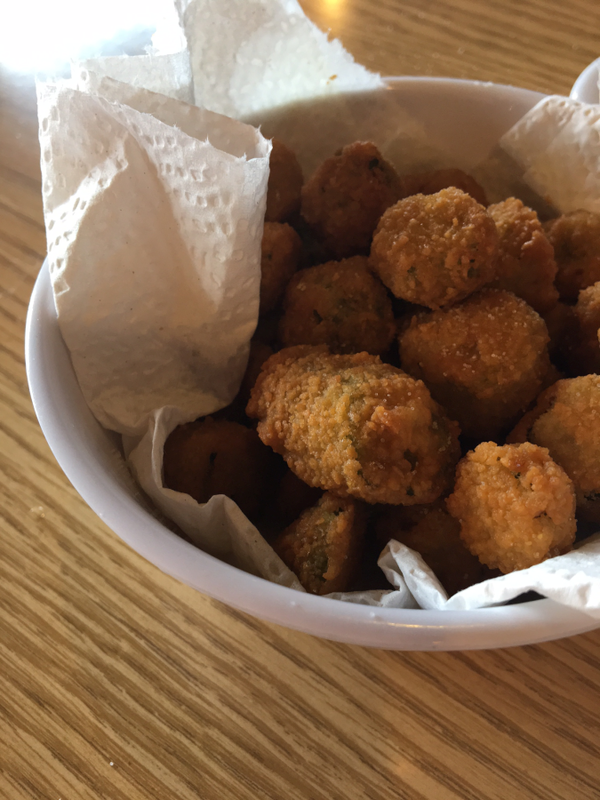 The fried okra and hush puppies may be off-limits for me, but that doesn’t mean my husband can’t enjoy the heck out of them. Here’s a word to the wise, MAKE RESERVATIONS. Call the restaurant as soon as you possibly can and set a reservation. The restaurant has limited seating but unlimited popularity – when those two combine, there’s only one thing you can do to make sure you get to eat before you’re ready to eat your own shoes… MAKE RESERVATIONS. On our last visit, there was a very, very disappointed and unhappy lady who had apparently driven a long way to visit Catfish Kitchen and who was, understandably, upset about having to wait at least an hour. The nicer the weather, the more vital it is to make reservations. A few weeks ago, when my husband called to make a reservation, it was already too late for a “reasonable” dinner hour. This restaurant is incredibly popular and people just seem to come out of nowhere to pull into the parking lot. MAKE RESERVATIONS! 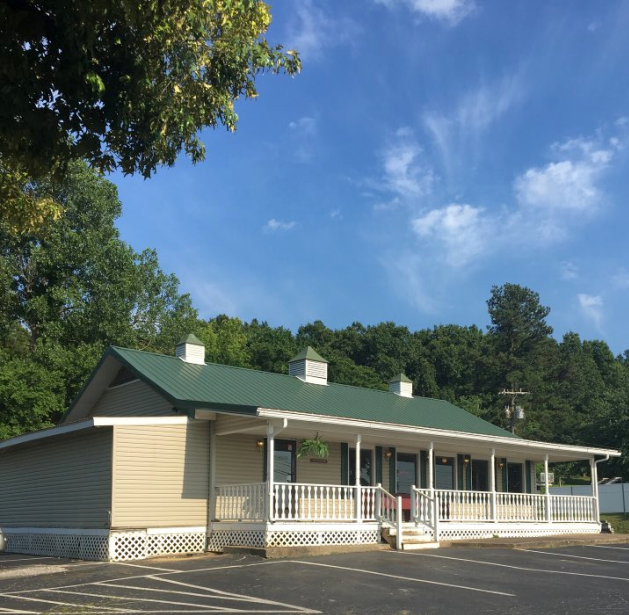 Catfish Kitchen is located at 136 Teal Run (between Kentucky Dam Village State Resort Park and Benton). Their phone number is (270) 362-7306. 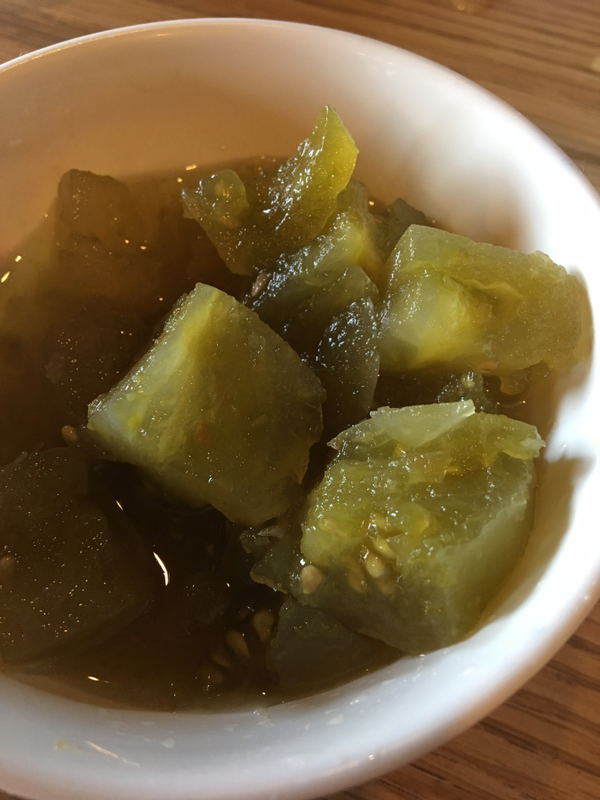 Green Tomato Relish: Trust Me, You’ll Want to Order This Every Time!